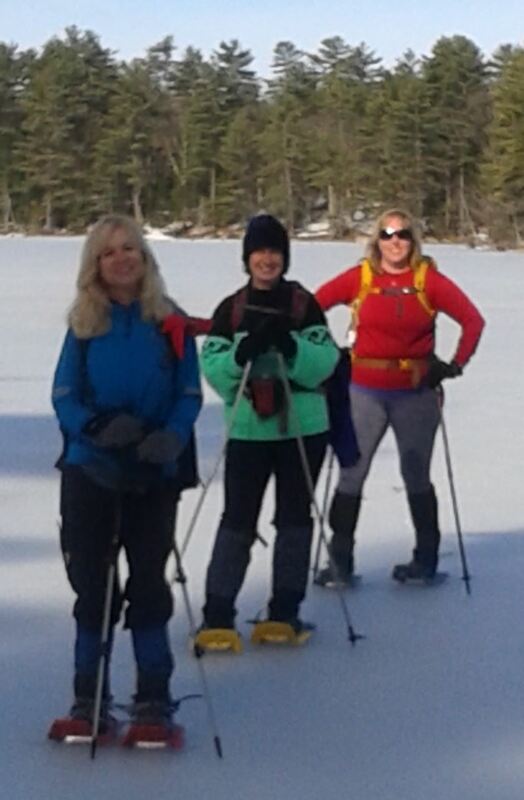 Snowshoes: You will be travelling through a variety of terrain, from marshes, steep slopes, icy or thickly treed terrain. The best type of snowshoes for this terrain will have serrated crampons on the base at the toe area and on the sides so you have traction that can bite firmly into steep or icy slopes. The MSR Evos are a favourite of many snowshoers and are mid-range in price. For this particular model, you can buy extensions as an accessory that you can add-on when you are travelling in deeper snow or carrying more weight. This model is easy to take on or off while still wearing your gloves, and doesn't seem to be that finicky in terms of the snowshoes coming off. The old-fashioned snowshoes are not recommended because of the lack of crampons. As well, with old-fashioned snowshoes, you will not be able to fit in the track of the newer type of snowshoes. Boots: A sturdy winter boot is best as you need to keep your feet warm all day. Hiking boots are not recommended unless they are made for winter temperatures, and are waterproofed. Hiking Poles or Short Ski Poles: Hiking poles are highly recommended as poles will make it easier for balance, going up and down hills, and helping you while you are breaking through deep snow. You should have powder (snow) baskets on your poles, otherwise you may plant your pole in the snow, and it will just keep going down into the ground another three feet. Ski Scraper: Wait, I'm not skiing -- why do I need this? If the snow conditions are wet, or snow conditions change through the day, or possibly wet areas under the snow, it's possible for "clumping" to occur. For our skiers, it's a common occurrence that can happen because we are not on groomed trails, and snowshoers are not immune either. 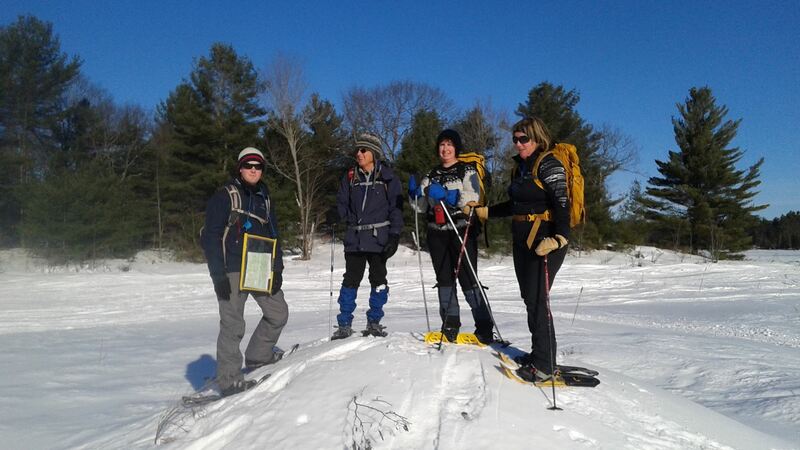 Imagine trying to snowshoe with about a foot of heavy snow underneath your snowshoes! If you missed the "platform shoes" fashion era, that's what you'll experience with an extra 10 pounds on your shoes. So yes, a ski scraper is needed to take the snow off, and you need to do this before it freezes to the snowshoes, otherwise, you will be scraping for awhile. You can also use your hiking poles to hammer off the clumps with caution. Gaitors: Although this is covered in what to wear in the Well-Dressed Skier/Snowshoer, it's worth mentioning again as it is really an essential piece of equipment. Our area receives a lot of snow, and you will sink down past your knees at times. Gaitors are important so that snow stays out of your boots. Without gaitors, imagine snow accumulating inside your boot at the back of your ankle and start forming a nice icy ball. Not comfortable!